Summary: Bella FSM takes it customers to a new level with enhanced features, a new look, better design, and faster performance. Bella FSM, a recognized software developer specialized in technology for Field Service Industries, recently launched version 6.1. This upgrade notably takes Bella’s customers to a new level with enhanced features, a new look, better design, and faster performance. 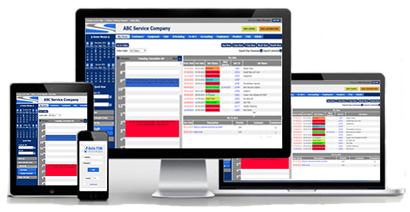 In response to customer feedback the company has added several features making the web-based software more user friendly and easier to use. In addition, the mobile version has been further optimized for all mobile devices. “Our latest enhancements improve dispatch efficiency, optimize technician time in the field, and elevate overall usability,” explained John Linn, CEO of Bella FSM. “Everyone at Bella would like to thank those users who offered real-world feedback helping us continually refine our features and functionality to improve our customer’s day-to-day business operations and satisfaction. Bella FSM is a brand trusted by companies worldwide to simplify estimating, work order management, scheduling, invoicing and accounting, employee and vendor management, and Customer Relationship Management (CRM). Bella FSM is a leading Software-as-a-service (SaaS) provider specialized in field service management software for a wide range of industries including property management, cleaning services, IT services, contractors, and HVAC firms. The company was founded in 2005 and serves clients worldwide from its corporate headquarters in Reston, Virginia and satellite office in Atlanta, Georgia.